The Oros boardroom table is something a little different to our other all-glass designs. 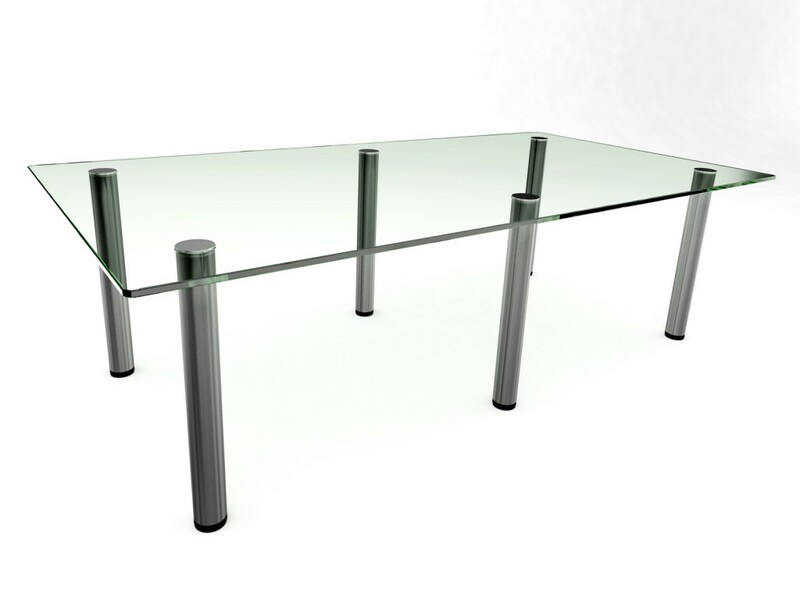 Simple yet stunning, the oros table is a smooth-cut rectangular panel of our 15mm clear toughened glass, held up by six of our steel table legs. The Oros boardroom table is truly stunning, and something that would instantly impress anyone who was to sit around it. With a large table top, there’s plenty of space to seat all meeting attendees comfortably, and a simple glass surface to hold all essentials. The design is impressive enough to make it the stylish focal point of any boardroom. As with our other boardroom tables, all designs are made to measure and come with a choice of different bases.